Once again, it’s the day after election, and the division of our nation is apparent in the “winners” and “losers” faces. We allow ourselves to become invested in the election, in who we choose to vote for, and then when things don’t go our way we get puffed up and angry at those who voted in opposition of our choice. But today, I want to ask one simple question: Do you believe what the Bible says, front to back, Genesis to Revelations, word for word? Do you believe it is the divine inspired word of God? If so, I submit to you that it really doesn’t matter who wins any election. 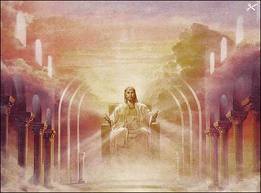 Our ruler will always be God Himself, King of Kings and Jesus Christ, Lord of Lords. Jeremiah 29:11 is a very familiar verse to Christians, which says “For I know the thoughts that I think toward you, says the Lord, thoughts of peace and not of evil, to give you a future and a hope.” But do you know why and when God said this? It was after King Nebuchadnezzar had taken many of the Jews captive into Babylon, including the prophet Daniel. After Nebuchadnezzar became a believer, which also occurred out of an act of God, He sent a letter to Nebuchadnezzar and the Jews that lived in Babylon by the prophet Jeremiah. The letter instructed them to make Babylon their home, build houses there, plant gardens, marry, and basically go on with the process of just living life. Then in verse 7 He tells them “seek the peace of the city where I have caused you to be carried away captive, and pray to the Lord for it; for in its peace you will have peace.” He caused them to be carried away captive. I bet this was news to a lot of them who thought it was an evil action by King Nebuchadnezzar. But God is ALWAYS in control. As we know from the story of Job, for evil to be done to us, He must allow it. Nothing happens that is outside His perfect will except our sin. And when we sin, there is a consequence of either grace and mercy or punishment. Imagine being one of the captives in Babylon. Your family is gone from you. Your daily provisions are at the hands of an evil, self-centered king. Your temple is no more and you are surrounded with idols and gods and magicians and sorcerers. Imagine how alone they felt being taken out of Jerusalem and all they had known and the worship of God stripped from them. But all the time, God was raising up Daniel the prophet, and Jeremiah to come to them in due time. He instructs them to ignore the false gods and false prophets and just pray to Him. God was saying to them “Don’t fear – I’ve got this!”. Today, God says that same thing to those that fear the future of our nation. He is the King of Kings. There is no ruler with greater authority, and He will make for us a future that prospers us. His ways are higher than our ways, and His wisdom beyond our simple minds. 1 Peter 2:13-15 says “Be subject for the Lord's sake to every human institution, whether it be to the emperor as supreme, or to governors as SENT BY HIM to punish those who do evil and to praise those who do good. For this is the will of God, that by doing good you should put to silence the ignorance of foolish people.” If you believe what the Bible says, you have to believe that God gave Obama his job. And we have to believe that those who do evil will not fare as well as those of us who praise God. Romans 13:1-5 says “Let every person be subject to the governing authorities. For there is NO AUTHORITY EXCEPT FROM GOD, and those that exist HAVE BEEN INSTITUTED BY GOD. Therefore whoever resists the authorities resists what God has appointed, and those who resist will incur judgment. For rulers are not a terror to good conduct, but to bad. Would you have no fear of the one who is in authority? Then do what is good, and you will receive his approval, for he is God's servant for your good. But if you do wrong, be afraid, for he does not bear the sword in vain. For HE IS THE SERVANT OF GOD, an avenger who carries out God's wrath on the wrongdoer. Therefore one must be in subjection, not only to avoid God's wrath but also for the sake of conscience.” In your words, in your actions, don’t resist this change. God appointed our president – “there is no authority except from God”. His word says that “ he is the servant of God.” Your duty is to your God, and to your president to be in “subjection, not only to avoid God’s wrath”, but for your own peace of mind. This day has not weakened God’s power. He is still King of Kings. Blessings will still flow from God for those that love Him and follow Him. The future of our nation is STILL in His almighty hands. Go on about the business of living your lives as God has instructed us to live. Be loyal to the King of Kings, and show allegiance to your country, and your president, because at the end of the day, God demands it.